OCEAN FRONT VACATION CONDO!!! 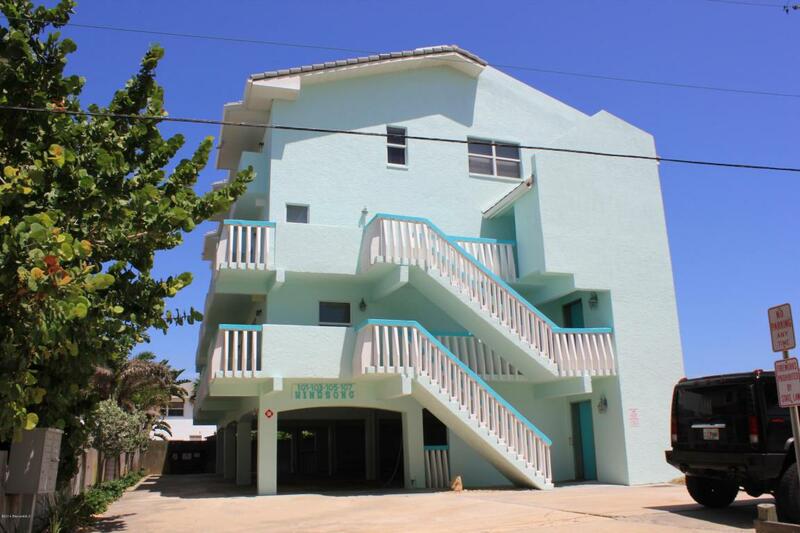 !Breathtaking views from this 2 bedroom, 2.5 bath, 2 story 1258 SF direct ocean front condo. 2 Master suites, oceanfront balconies in master and living room. This is the top floor SE corner unit. River view balcony in 2nd master suite. New a/c and new dishwasher, granite counters in kitchen. Bring your clothes and toothbrush! Very private building of only 4 units. Covered under building parking. No rocks in the surf!